When I first began doing pixel art a sense of pixel purism was engrained in me by the pixel art communities. Rules and conventions were established in the post-pixel area of video games as a means to wrap up in a neat and tidy package what the art of our youth was all about. They covered what tools were and were not allowed, how many colors were acceptable, and coined a vocabulary of new terms to describe patterns to follow and avoid. Some even went as far as to say that each pixel needed to be placed individually in order to qualify. Although these rules were being made up organically by kids no different than me, they were treated as law and anyone who dared think otherwise was quickly corrected and indoctrinated. My gosh it's been a long time since I've updated this site. My last blog posts were all the way back in 2009! I guess this is what happens when you have a full-time day job. Well guess what? I don't anymore! I figured now would be the best chance to completely redesign my site I'll get in a long while, so I went to town. I have to say that I'm pretty happy with the end result - especially compared to the old design that was just plain awful. I especially had fun making responsive CSS that allows the site to be readable all the way down to 320 pixels wide - perfect for phones. I haven't done much browser compatibility testing yet so if you notice any bugs feel free to let me know. 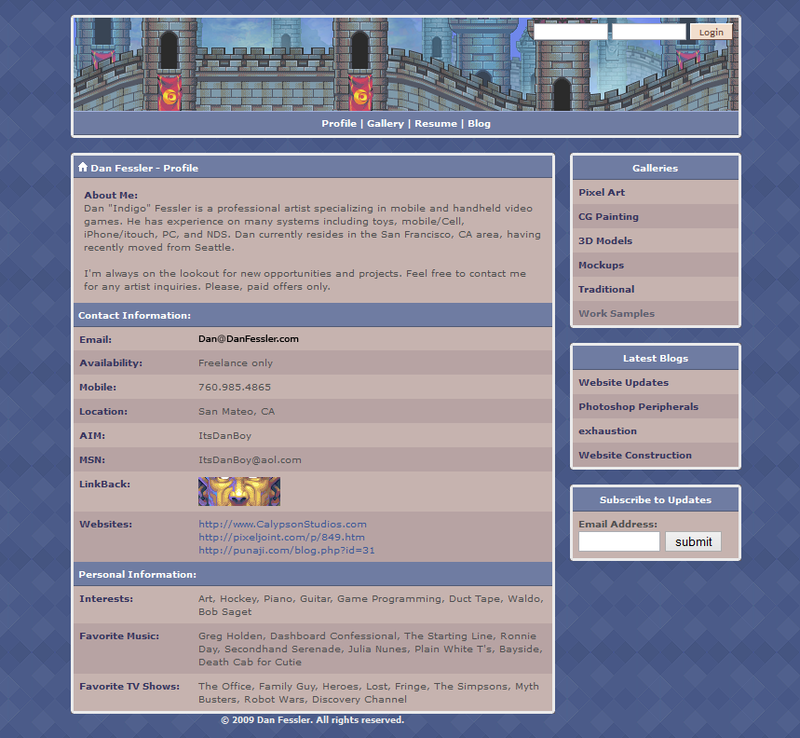 I'll be continuing to update the functionality and design of the site when I have the time.